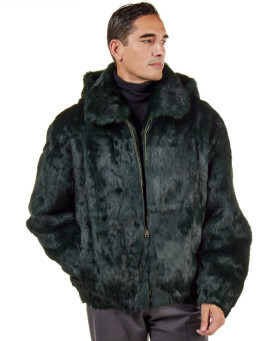 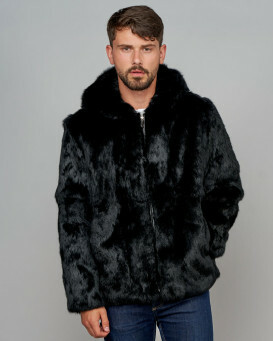 Wear our Lucas Evergreen Rabbit Fur Hooded Bomber Jacket for Men over any outfit. 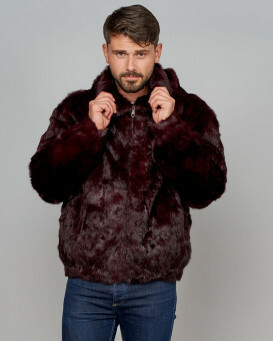 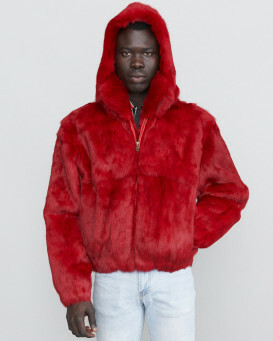 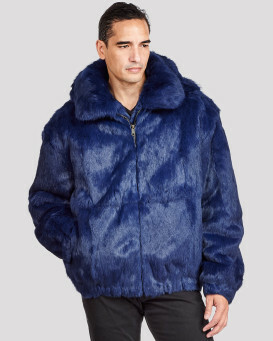 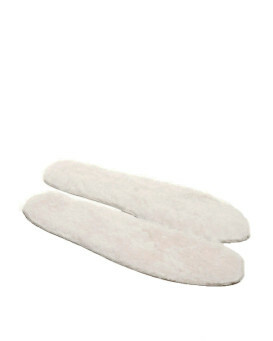 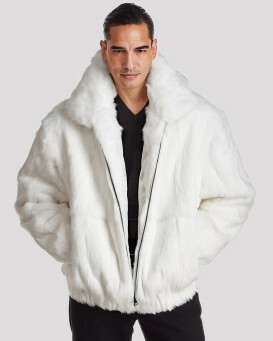 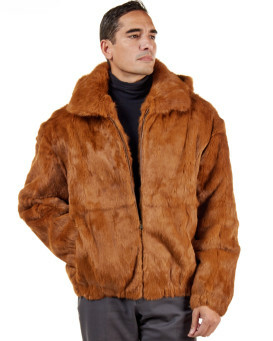 The vibrant colored Rabbit Fur is soft in a casual appeal with a bomber jacket effect. 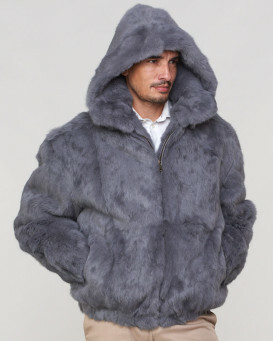 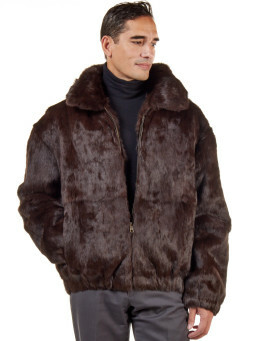 A detachable hood and affixed trim is lined with a full display of Rabbit Fur. 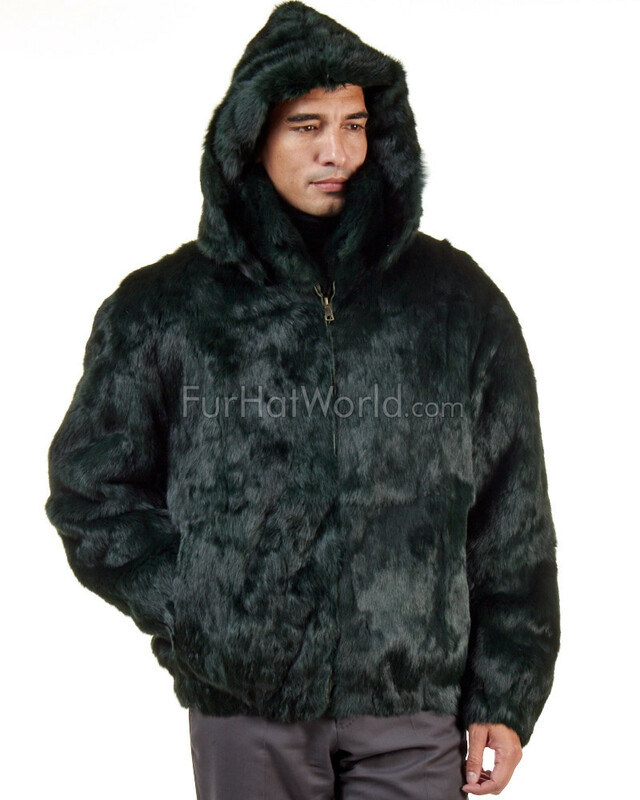 The soft interior is 100% Polyester and adorned with two interior zipper pockets. 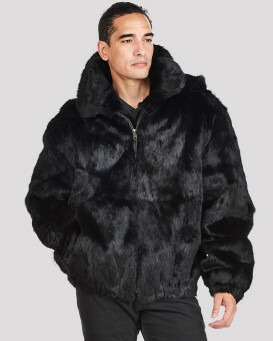 The exterior is crafted with two side entry pockets and a metal zipper front closure. 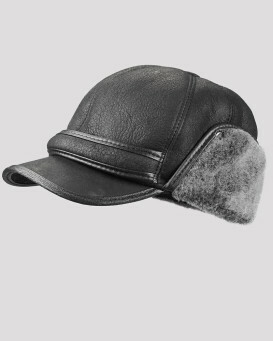 The casual appeal is both distinguished and comfortable. 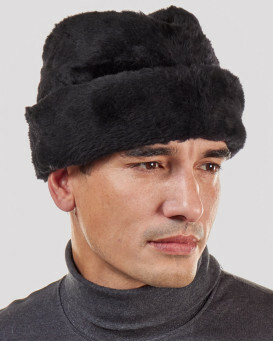 The charming look can be worn for a fancy night on the town or during an informal event this winter.